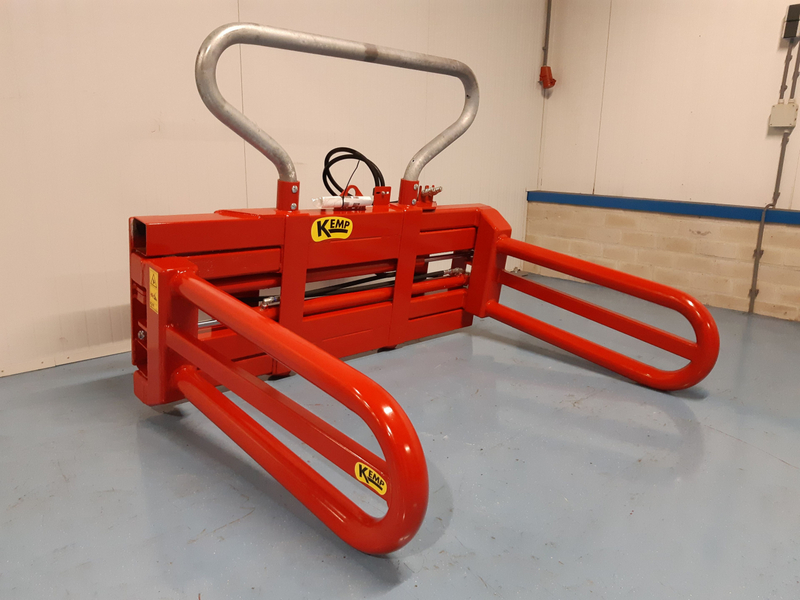 The bale clamp with a large clamping range, has a range of 700 to 2,700 mm. 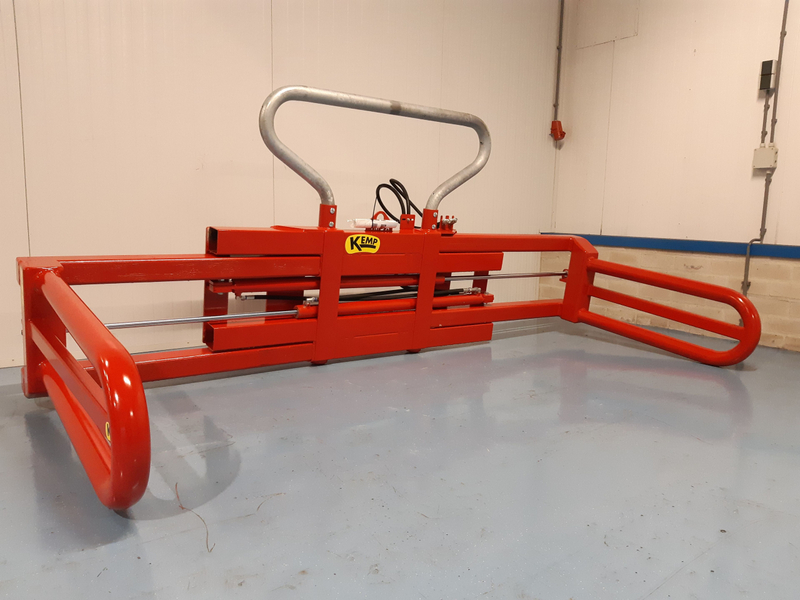 Due to this large range, this bale clamp is suitable for small bales but also large hay or straw bales, and for bundle bales too. The BKGK is a clamp that is made on request, which means that it has many possibilities. You can find these possibilities under the heading options. The BKGK is available in two versions, namely the BKGKC and the BKGKZ. The BKGKZ is made heavier with respect to the BKGKC. The clamping range for both versions is the same. 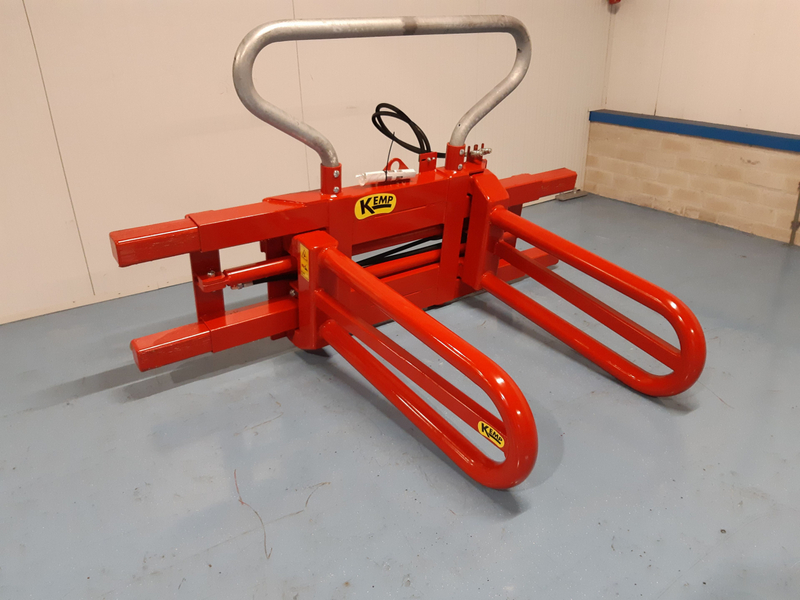 The bale clamp with a large clamping range is available with the attachments that belong to your vehicle (for the attachment parts, see the document: Kemp attachment parts). Extension brackets fixed: It is possible to make the brackets two meters long, so that you can clamp more bales at the same time. Removable extension brackets: In addition to the fixed extension brackets (welded), it is also possible to order removable extension brackets. Raised brackets: The clamps can be raised, which allow you to pick up more bales on top of each other. Demountable middle bracket: An additional clamping bracket can be placed in the middle of the clamp. This allows you to move many small bales, because both the left and right of the clamping bracket can be clamped. Synchronous valve: The synchronous valve ensures that both clamping arms go in and out at the same time. Removable rack for 2nd bale: The bale clamp has the possibility for a rack, so several bales can be transported simultaneously.